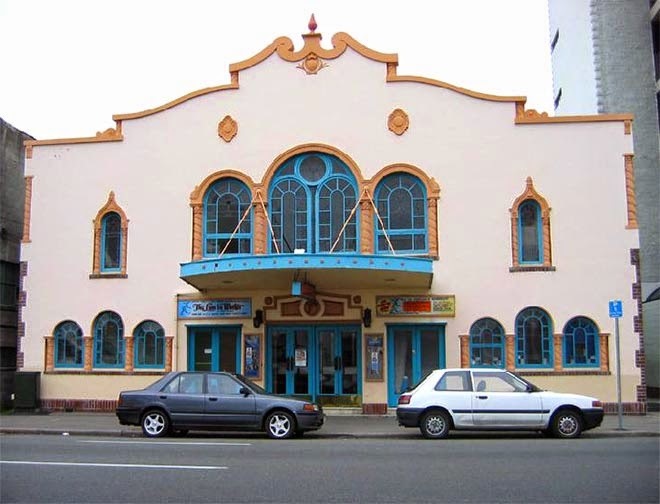 Given good weather for the builders, Christchurch's new intimate theatre in Kilmore Street, to be known as Radiant Hall, will be opened by the Mayor of Christchurch (the Rev. J. K. Archer) on 16th October or 23rd October. Although designed primarily for the Health Club, the hall is expected to become the centre in Christchurch of the modern expression of drama, music and the arts. The Canterbury Repertory Theatre Society has taken a particular interest in its construction, and the stage, designed by Professor James Shelley, will be among the largest and most up-to-date in the Dominion. The lighting effects will be the latest. Probably parts of the auditorium will be permanently seated, and part temporarily. Special attention has been given to the acoustic qualities of the hall. There will be a small gallery and two boxes, the whole accommodation being between 700 and 800. The front of the building will be in Spanish mission style in brick and cement. The interior decoration will be finished in ivory and bronze.